Публикуем информационное письмо TWI о начале совместной с учебным центром "СТОРМ" подготовки в Российской Федерации специалистов промышленного производства, сварочных работ, неразрушающего контроля, охраны труда, подводно-технических инспекций и других направлений. 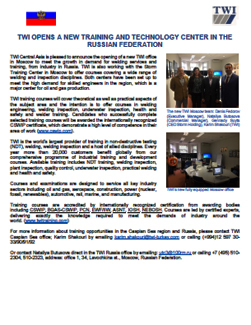 TWI Central Asia is pleased to announce the opening of a new TWI office in Moscow to meet the growth in demand for welding services and training, from industry in Russia. 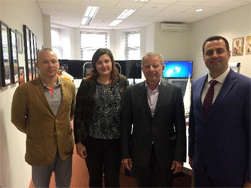 TWI is also working with the Storm Training Center in Moscow to offer courses covering a wide range of welding and inspection disciplines. Both centers have been set up to meet the high demand for skilled engineers in the region, which is a major center for oil and gas production. 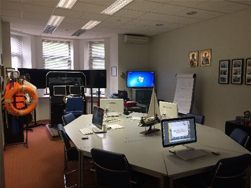 TWI training courses will cover theoretical as well as practical aspects of the subject area and the intention is to offer courses in welding engineering, welding inspection, underwater inspection, health and safety and welder training. Candidates who successfully complete selected training courses will be awarded the internationally recognized CSWIP certificate, which demonstrate a high level of competence in their area of work (www.cswip.com). TWI is the world's largest provider of training in non-destructive testing (NDT), welding, welding inspection and a host of allied disciplines. Every year more than 20,000 customers benefit globally from our comprehensive program of industrial training and development courses. Available training includes NDT training, welding inspection, plant inspection, quality control, underwater inspection, practical welding and health and safety. Courses and examinations are designed to service all key industry sectors including oil and gas, aerospace, construction, power (nuclear, fossil, renewables), automotive, rail, marine, and manufacturing. Or contact Nataliya Butusova direct in the TWI Russia office by emailing: utc3@100rm.ru or calling +7 (495) 510-2304, 510-2323, address: office 1, 34, Lavochkina st., Moscow, Russian Federation.